You only have to go into a high-street retail store or look online to get an idea of the sheer number of digital cameras on the market. There are so many brands, types and technologies now available, with each one claiming to be the best (of course! ), that it can be really difficult to make sense of it all. But it&apos;s possible to break all these competing cameras down into a few basic types, and once you do that it becomes much easier to figure out the kind of camera that&apos;s right for you. That&apos;s what we&apos;ve done with our expert guide, and you can follow the links at the bottom of the pages to find which is the best camera currently available in each category. So we&apos;ll start with the basics and work up through the more advanced cameras to the types the professionals use. But you don&apos;t have to stay with us all the way. Treat this guide like sightseeing tour – when you&apos;ve got to where you want to go, just step off the bus! 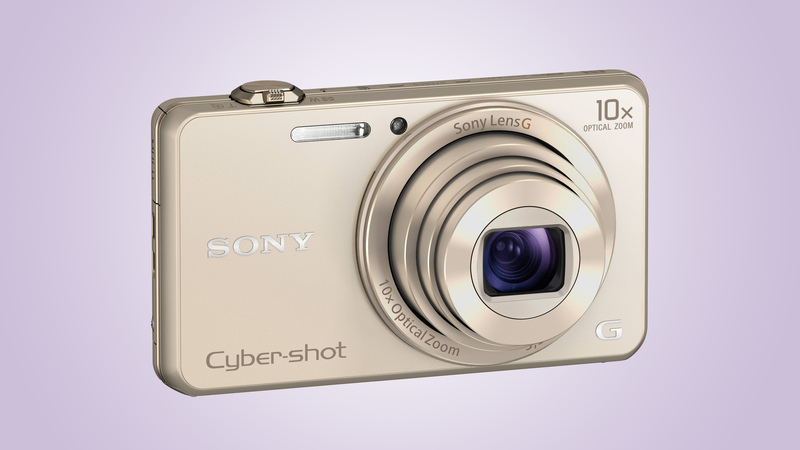 Is a smartphone as a good as a regular point-and-shoot compact camera? Apart from not having a zoom, it almost certainly is. There&apos;s nothing wrong with the cameras in smartphones. The best smartphones have really good cameras built onto, even if they don&apos;t have quite the same impressive amount megapixels as dedicated digital cameras. The thing to remember though is that it&apos;s not all about the amount of megapixels you have – a smartphone with a 8MP camera or above is all you need to produce sharp, detailed shots for Facebook and Twitter, while you can even produce moderately-sized, decent quality prints to hang on your wall if you get a shot you really love. 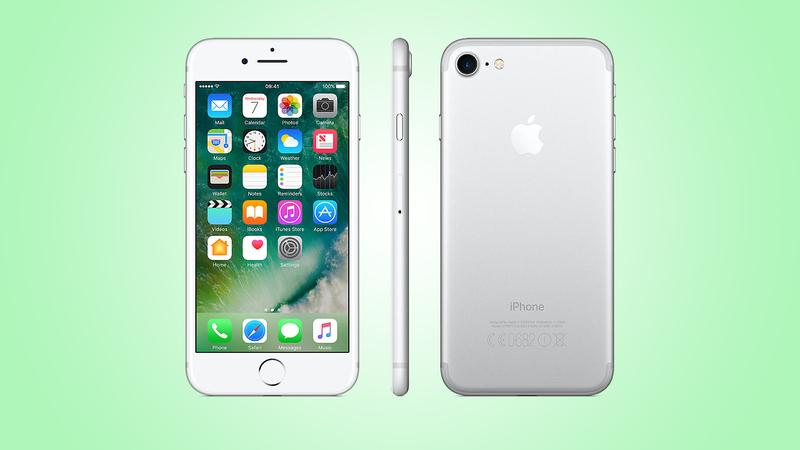 Take the iPhone 7, for example, with its 12MP camera and easy to use controls, it can produce shots every bit as good (better, often) as a regular point and shoot compact camera. This is also the camera you&apos;ll probably have with you all the time, and the one you&apos;ll rely on for capturing your life as it happens, with these photos often ending up as the pictures you will value most in the years to come. Pros: It&apos;s the camera you always have to hand, the results can match those from a regular point-and-shoot compact camera, you can share instantly to Facebook, Twitter and Instagram, you can get apps with amazing effects and additional tools and they can be easy to use. Cons: In most cases you get a fixed focal length lens – you can&apos;t zoom in on distant subjects; the fixed lens is often a wide-angle – great for selfies and getting loads in the frame, but not for flattering portraits; smartphones aren&apos;t so easy to hold; limited control over shooting settings. 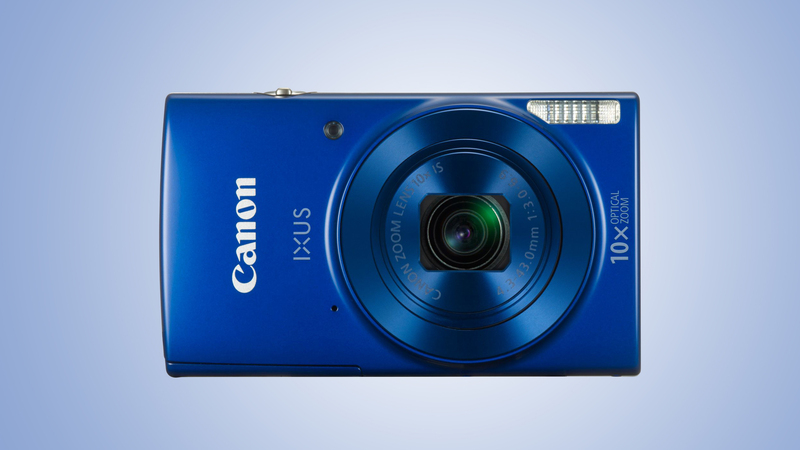 If you want to capture your life&apos;s adventures, maybe you need an action cam, not a regular point-and-shoot camera. You can overcome the limitations of your smartphone&apos;s camera easily enough with a &apos;proper&apos; camera, but just before we look at these in detail, there&apos;s another option to consider – action cams. If capturing your life&apos;s adventures is your thing, why not do it with video, not stills? Action cams are tough and simple to use, and come with a whole range of different mounts so that you can attach them to handlebars, skateboards, helmets, the dashboard of your car… even your pet! 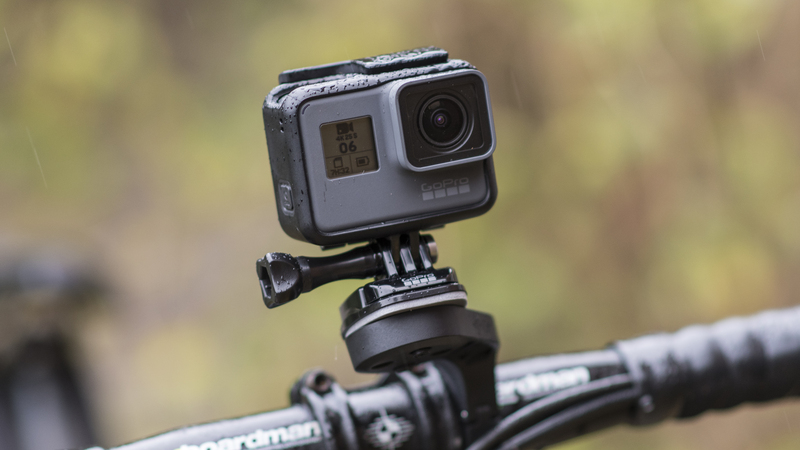 They&apos;ve been popularised by the GoPro Hero range, but there are now dozens to choose from, including bullet-style cameras to fit to the side of a helmet, say. Action cams shoot good-quality Full HD footage (some, like the Hero6 Black can even shoot 4K) through fixed focal length wide-angle lenses. Some are completely waterproof, while others come bundled with waterproof housings. Action cams are the complete antithesis of traditional camcorders – they&apos;re so cheap that you don&apos;t mind giving them a battering, they&apos;re small enough and light enough not to get in the way, and they&apos;re so simple that all you need to know is how to press a button. Pros: Cheap, tough and simple, surprisingly good Full HD movie quality (in some cases 4K), you can mount them on practically anything. Cons: Fixed wide-angle lenses mean there&apos;s no zoom capability, while there&apos;s little control over exposure. Stills are snapshot quality only. The Hero6 Black builds on the excellent Hero5 Black (which is still available at a more affordable price) and is a great reminder of why the name is so revered. Shooting buttery-smooth 4K footage, the Hero6 Black is waterproof down to 10m, easy to use and allows you to share footage quickly thanks to the QuikStories that automatically transfers and edits your footage for you. If you want the best action camera, this is it. Cheap point and shoot cameras might look like an easy upgrade from a smartphone, but they have limitations of their own. So assuming your smartphone doesn’t offer the versatility you need, and that you’re into decent quality stills rather than immersive action video, then a regular digital camera is the way to go. Point and shoot compact cameras are cheap, and they come with zoom lenses and more control over exposure, white balance, focus and other settings than you’ll get with a smartphone. The zoom lens is the killer feature. Smartphones offer ‘digital’ zooms, but that’s not the same at all, because these simply crop in on a smaller area of the picture, so you’re losing resolution. Typically, a cheap point-and-shoot compact will have a 5x zoom which goes wider than a smartphone lens – handy for cramped interiors and tall buildings – and much longer, so that you can fill the frame with people and subjects when they’re further away. But the picture quality isn’t necessarily better. Cheap cameras have cheap lenses, which can produce mushy definition at the edges of the frame or at full zoom, and the sensors are not much larger. Sensor size is a key factor in picture quality, as we’ll see later on. Point-and-shoot cameras typically have 1/2.3 inch sensors, which are about half the size of your little fingernail, and scarcely larger than those in a decent smartphone. Forget about megapixels – the sensor size is what limits the image quality. Pros: Versatility of a zoom lens; much more control over exposure, color and focus; easier to hold. Cons: Quality often no better than a smartphone, sometimes worse. If you&apos;re wanting a compact camera that can do a better job than your smartphone the Cyber-shot WX220 ticks a lot of boxes, especially when you consider the extra flexibility offered by the 10x optical zoom, running from 25-250mm. Images are bright and punchy, with decent detail – ideal for sharing online or printing at typical sizes – while it&apos;s nice to see Wi-Fi connectivity included as well. 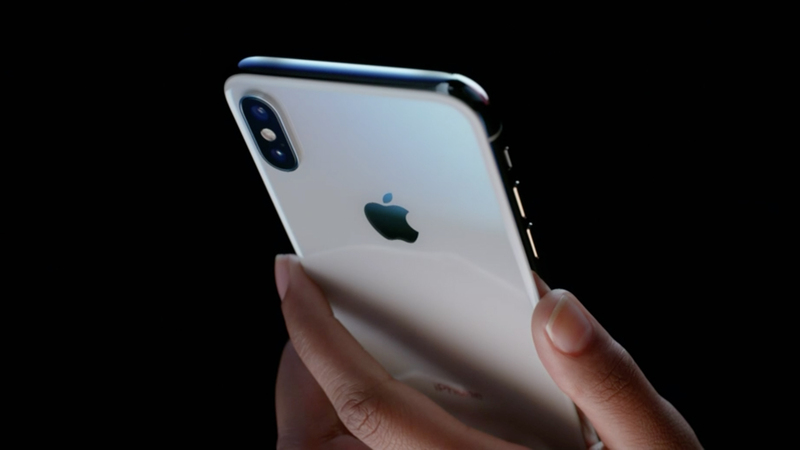 The 2.7-inch screen is a little on the small side, but that does help to keep the dimensions of the camera to a pocket-friendly size. The WX220 may not have lots of bells and whistles, but what it does do, it does well. Travel compacts, or &apos;long zoom&apos; compacts, give you point and shoot simplicity but a much longer zoom to capture a wider range of subjects. A cheap point-and-shoot compact is a relatively small step up from the camera in a smartphone, but long-zoom &apos;travel&apos; compacts take their main advantage – the zoom lens – a whole lot further. A &apos;travel compact&apos; is essentially a point-and-shoot camera but with a much, much longer zoom range, typically 30x. The idea is that you have a camera that still fits in your pocket, but has such a colossal zoom range that you can photograph practically anything, from beautiful landscapes to far-off landmarks. After all, when you go on vacation you want a camera small enough to go in a pocket so that it doesn&apos;t get in the way when you&apos;re doing other things, but versatile enough that you won&apos;t miss any once-in-a-lifetime photos. 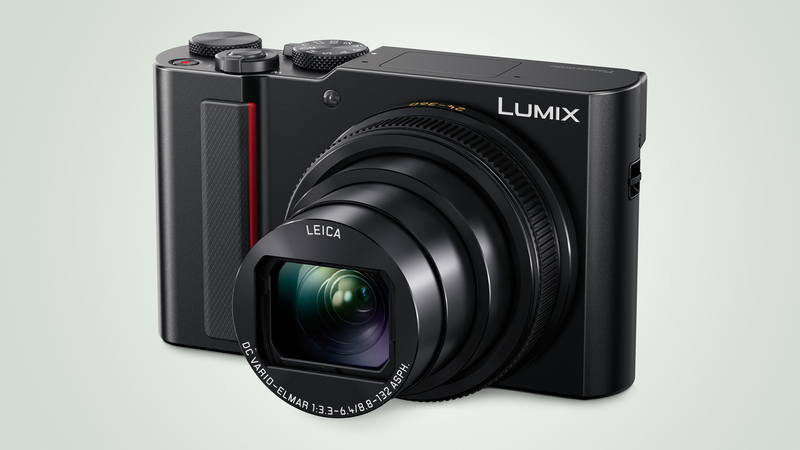 Travel compacts have the same size sensors as point-and-shoot compacts, but this is changing, with models like the Panasonic Lumix ZS100 (known as the Lumix TZ100 outside the US) getting larger 1-inch sized sensors, while the lenses are generally better quality, quite apart from their increased zoom range. Some have more advanced exposure modes for controlling the shutter speed and lens aperture independently, and may even capture RAW files for higher-quality processing back on the computer. Some, like the Lumix TZ100 / ZS100 again, even have built-in electronic viewfinders. If your budget can stretch to it, a long-zoom travel compact is almost certainly a better bet than a cheaper point-and-shoot model. You gain a lot and sacrifice nothing. Pros: Massive zoom range that copes with almost any kind of subject; quality generally slightly higher than a point-and-shoot compact; may have more advanced controls. Cons: More expensive; still uses a small sensor (with some exceptions) which limits the ultimate picture quality, especially in low-light conditions. 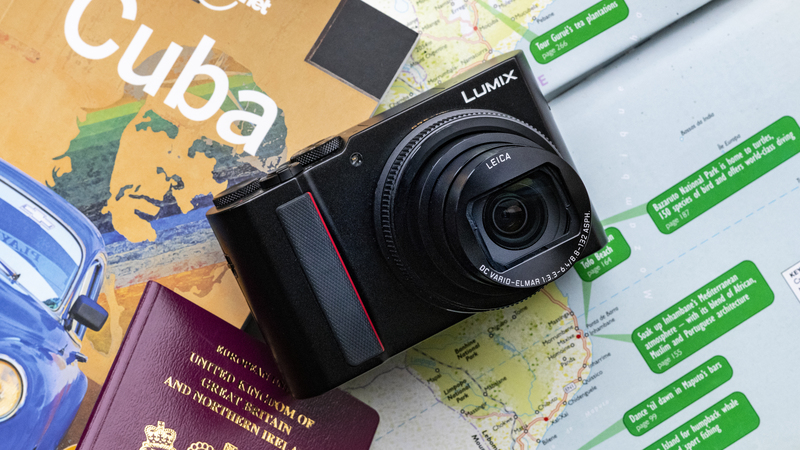 It might not have the longest zoom range for a travel compact camera, but Panasonic&apos;s Lumix ZS200 (known as the Lumix TZ200 outside the US) is our pick of the travel compacts. Panasonic has managed to squeeze a much larger sensor into the ZS200 / TZ200 enables the pixels to be about 2.4x bigger than they are in models like the Lumix ZS70 / TZ90 and helps the ZS200 produce much higher quality images. The 15x zoom ranging from 24-360mm might look limited compared to some rivals, but the optics are decent and for general photography, you shouldn&apos;t need anything more. You also get an electronic viewfinder that makes it easier to compose images in bright sunny conditions and 4K video recording. It all adds up to be a powerful, if pricey option. Bridge cameras have DSLR-style controls and massive zooms, but image quality isn&apos;t a strong point unless you want to pay a premium. If the size of the camera isn&apos;t important but you like the idea of a do-it-all camera with a super-long zoom lens, then a &apos;bridge&apos; camera is the next logical step. The name &apos;bridge camera&apos; comes from the way these cameras are designed to bridge the gap between a regular compact camera and a DSLR. In fact, bridge cameras often look like DSLRs, with a characteristic &apos;fat&apos; body, a chunky grip on the right hand side, an exposure mode dial on the top and the program AE, aperture-priority, shutter-priority and manual (PASM) modes of DSLRs. Many models now shoot raws as well, but check the specification to make sure. But while bridge cameras offer monumental zoom ranges, such as the amazing 83x zoom on the Nikon Coolpix P900, there are limitations. In order to achieve these zoom ranges at a manageable size and cost, the makers use the same-sized 1/2.3-inch sensors as you find in smaller compact cameras. You get the look and feel of a DSLR, but you don&apos;t get the image quality. There are exceptions, though. In the past couple of years the likes of Sony and Panasonic have launched bridge cameras with much larger 1-inch sensors, notably the Sony Cyber-shot RX10 IV and Panasonic Lumix FZ2500 (known as the Lumix FZ2000 outside the US). This comes at the expense of zoom range (though still very impressive and more than adequate for most shooting situations) and, well, expense generally, but most keen photographers would swap a little zoom range for a big step up in quality. 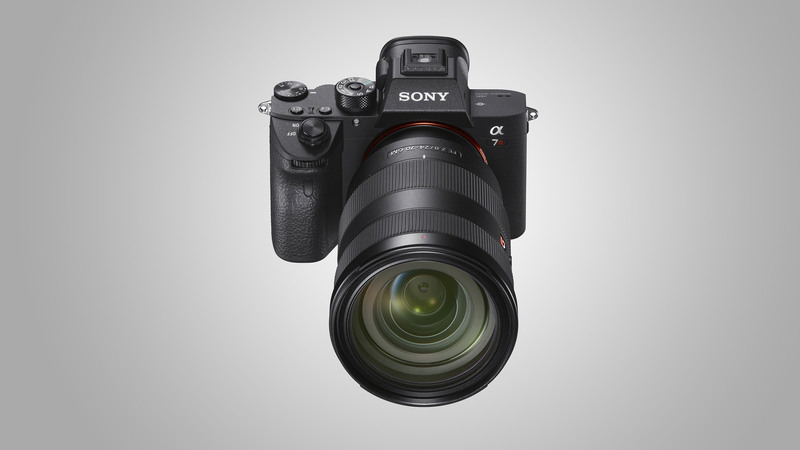 Pros: Massive zoom range; DSLR-style controls and features; versatility and value for money. Cons: Small sensor size limits the quality (with some key exceptions); detail often quite soft at full zoom; autofocus systems rarely match DSLRs for responsiveness. 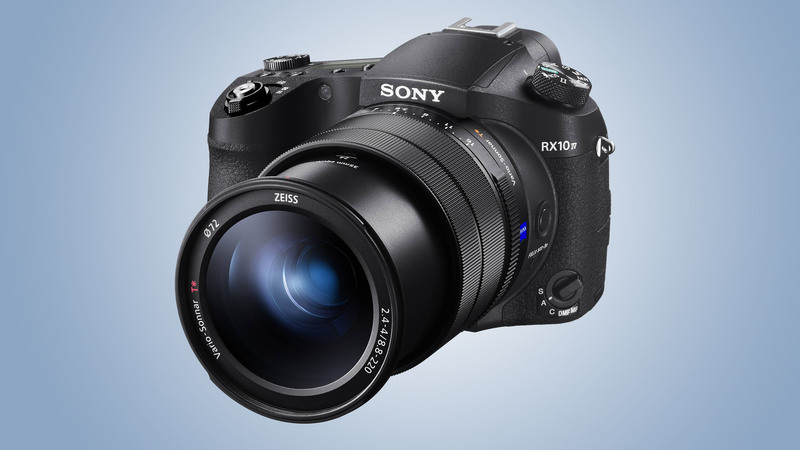 You&apos;ll pay a premium for the RX10 IV&apos;s performance, but when you look at what else is out there for the same price, the RX10 IV is virtually in a league of its own. 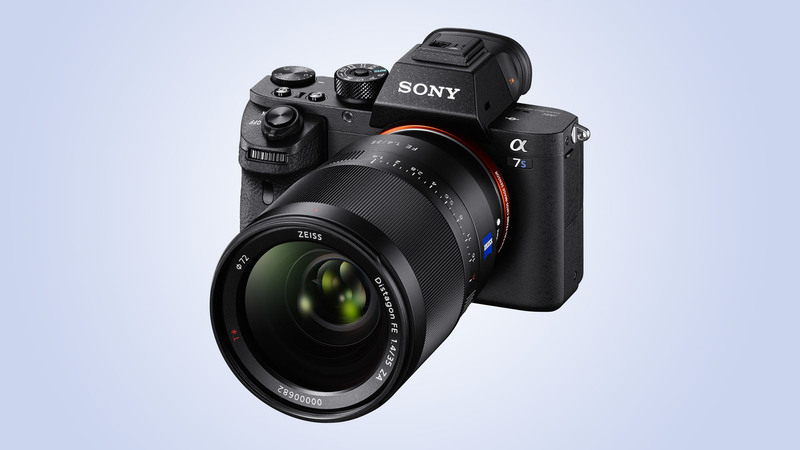 Featuring a huge 24-600mm f/2.4-4 zoom lens, the RX10 IV builds on the RX10 III with an overhauled AF system that now does justice to the rest of the camera, while the 1-inch, 20.1MP sensor is capable of achieving excellent levels of detail. That&apos;s not forgetting the ability to capture video in 4K and shoot at up to 24fps. Impressive stuff. 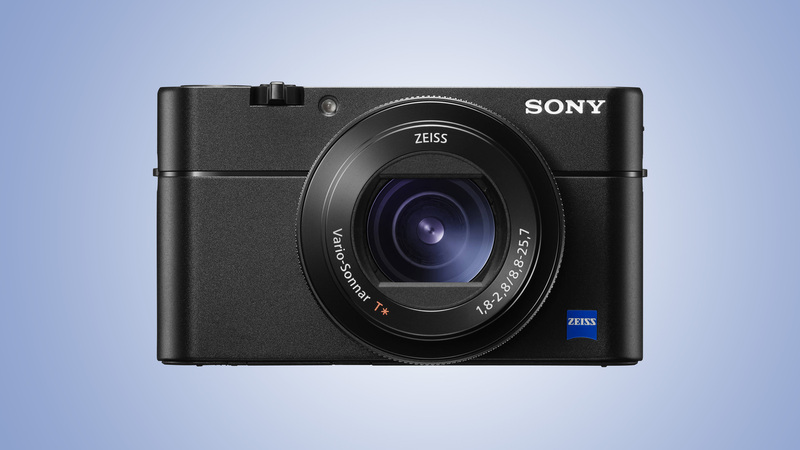 A high-end compact is perfect for quality-conscious enthusiasts who want a &apos;proper&apos; camera small enough to fit in a coat pocket. Where bridge cameras deliver the most bang for your buck, a high-end compact camera offers a different route towards better pictures. Here, you&apos;re not paying for a huge zoom range, but for a larger sensor, a better lens, DSLR-style controls and features and (sometimes) DSLR picture quality. High-end compact cameras are designed for enthusiasts and experts who want a camera small enough to carry round when a regular DSLR would just be too intrusive or impractical. The zoom range is nothing special – it&apos;s about the same as you&apos;d get in a regular point-and-shoot model, with some opting for a fixed focal length – but combined with a bigger sensor, better lens and more advanced controls, you can expect image quality to be on a completely different level from your smartphone or point-and-shoot compact. At one time, most high-end compacts had 1/1.7-inch sensors just a little larger than those in point-and-shoot cameras, but now there are models with larger 1-inch sensors (see the Canon Powershot G7 X Mark II, Panasonic Lumix LX10 / LX15 and Sony Cyber-shot RX100 V) and even Micro Four Thirds (Panasonic Lumix LX100) and APS-C sensors (Fujifilm&apos;s X100F) – the same size as those in some mirrorless cameras and DSLRs. Pros: DSLR features and DSLR-approaching quality in a pocket-sized camera. Cons: Even the cheapest aren&apos;t cheap, and the most expensive really are expensive; you can&apos;t change lenses. 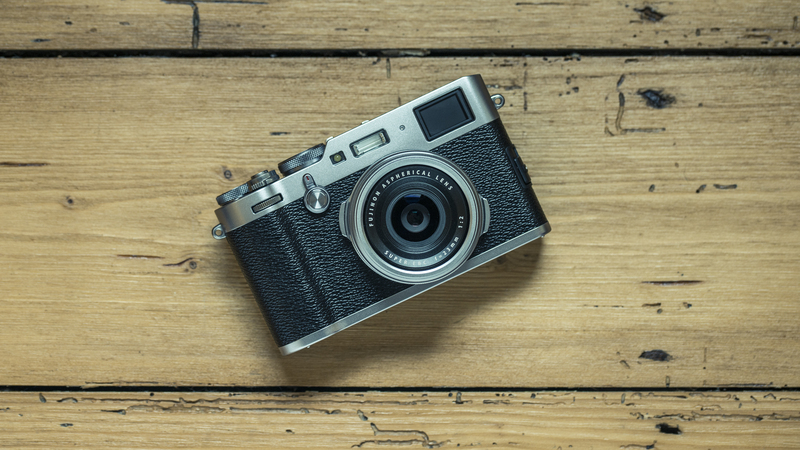 It may be one of the more expensive options and it&apos;s not a compact for everyone, but if you&apos;re after a high-quality camera, you&apos;re not going to be disappointed with the X100F. Everything about it oozes class. It has a fixed 35mm equivalent f/2.0 prime lens that&apos;s paired with a DSLR-sized 24.3MP APS-C sensor that delivers cracking results. There&apos;s also the tactile external controls and clever hybrid viewfinder – you have the option of electronic and optical views make it a joy to shoot with. You&apos;ll need some photo knowledge to get the best from it, but the X100F is an exquisite camera. DSLRs offer big sensors and interchangeable lenses, and they mark the first step into &apos;serious&apos; photography. DSLRs are still considered the number one choice for &apos;serious&apos; photographers, and they make great cameras for students too because they teach all the basic principles of photography without costing a fortune. A DSLR is fundamentally different to the cameras covered so far because you can swap lenses. This is where digital cameras split into two main types. So far we&apos;ve been looking at so-called &apos;compact&apos; cameras, though it would be more accurate to call them &apos;fixed lens&apos; cameras, since they&apos;re often far from compact! 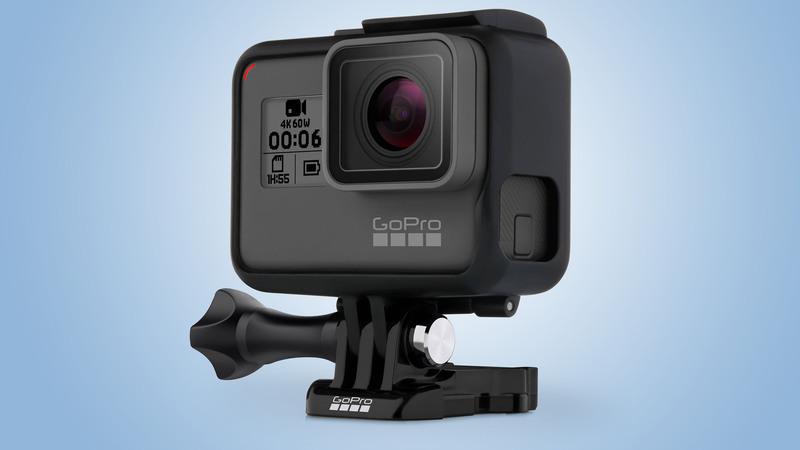 This includes point-and-shoot cameras, action cameras, travel zooms, bridge cameras and high-end compacts. But the second type is &apos;interchangeable lens&apos; cameras, which is where you get into DSLR territory (and mirrorless cameras – more on these shortly). Being able to change lenses really opens up a whole new world of photography. DSLRs often come with &apos;standard&apos; zooms, or &apos;kit&apos; lenses, which cover an everyday range of focal lengths, but you can also get telephotos, super-wide-angle lenses, macro lenses for extreme close-ups, fisheye lenses and fast (wide aperture) prime lenses for atmospheric defocused backgrounds. DSLRs are perfect for anyone who wants to take their photography more seriously, not just because you can change lenses, but because they have large APS-C sensors that deliver much better quality than the smaller sensors in most compact cameras. You also get full manual controls, the ability to shoot raw files and an optical viewfinder that gives you a bright, clear view of the scene in front of the camera. Pros: Interchangeable lenses; full manual controls; raw files; APS-C sensor for a big step up in quality. Cons: Big and bulky compared to most compact cameras; focusing in &apos;live view&apos; on the rear screen is comparatively sluggish on most models. Nikon&apos;s D3400 builds on the brilliant D3300, which was until recently our top entry-level DSLR pick. 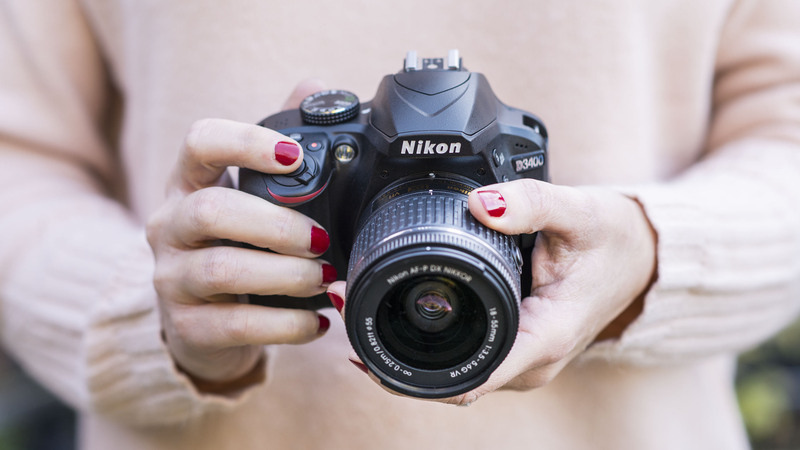 Sharing pretty much the same design and specification as its predecessor, the D3400 adds Nikon&apos;s SnapBridge bluetooth connectivity to transfer images directly to your smart device to make it that much easier to share images. The 24.2MP sensor resolves bags of detail, while the D3400 is also a very easy camera to live with. Its clever Guide Mode is a useful learning tool that gives real-time explanations of important features. 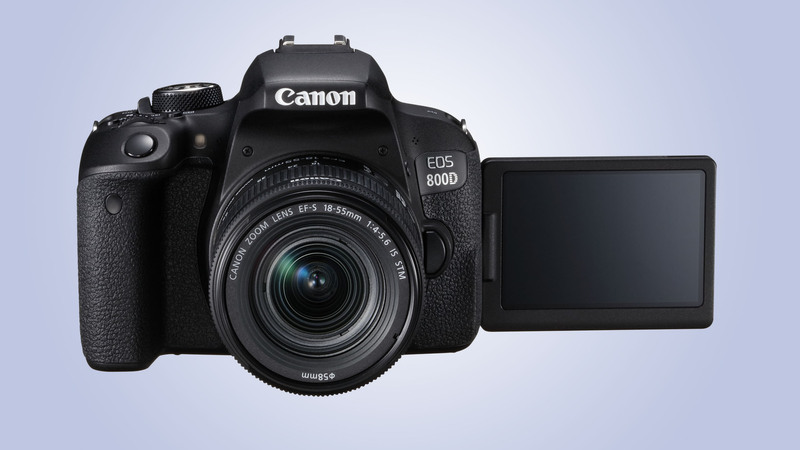 There&apos;s no touchscreen, but otherwise this is our favorite entry-level DSLR right now. Mirrorless cameras also take interchangeable lenses and they&apos;re a new and fascinating alternative to DSLRs. Until recently, the DSLR design was the only choice for photographers who wanted interchangeable lenses – but it has its drawbacks. The optical viewfinder on a DSLR is great, but if you want to use the LCD display to compose your shots, just like you would on a compact camera, they&apos;re much less effective. That&apos;s because to do this a DSLR has to flip up its mirror and swap to a slower, more laborious autofocus system. So camera makers have introduced a new breed of &apos;mirrorless&apos; cameras, also known as &apos;compact system cameras (CSCs). These are just like supersized compact cameras, but with bigger sensors and interchangeable lenses, just like DSLRs. The absence of a mirror means that the cameras can be made both smaller and lighter, and the latest models use new and more sophisticated autofocus systems that put them on a par with DSLRs. All mirrorless cameras let you compose images on the rear screen with no loss of autofocus performance. Indeed, on many mirrorless cameras this is the only way to take pictures, because cheaper models don&apos;t have viewfinders. It&apos;s worth paying the extra for a camera with a viewfinder, though, because these can be invaluable in bright light, where the glare can easily swamp the screen on the back. 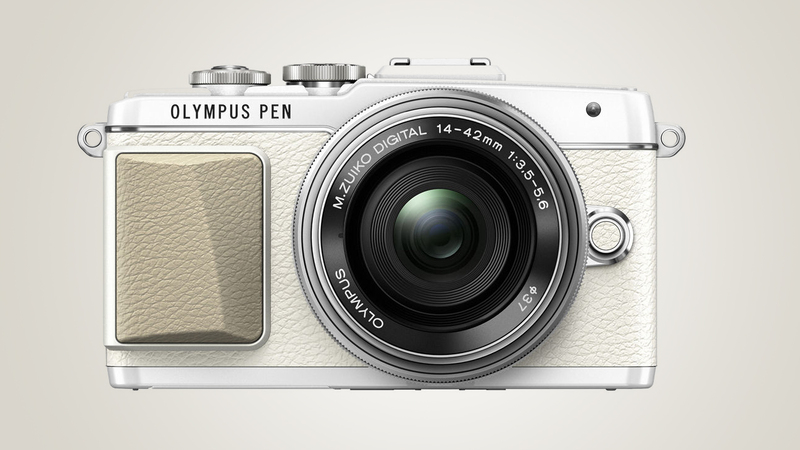 On a mirrorless camera, though, the viewfinder is electronic rather than optical. Electronic viewfinders can show you the image exactly as the sensor will capture it, but many still prefer the optical clarity of a DSLR viewfinder. For the time being it looks as if DSLRs and mirrorless cameras will co-exist. Neither type is better than they other – they&apos;re really on a parallel path – so it really comes down to which type you prefer. Pros: Small and light; mechanically simpler than DSLRs; full time &apos;live view&apos; with fast autofocus. Cons: Some models don&apos;t have viewfinders; electronic viewfinders lack the clarity of a DSLR&apos;s optical system; so far, the range of lenses available is more limited, but is growing. 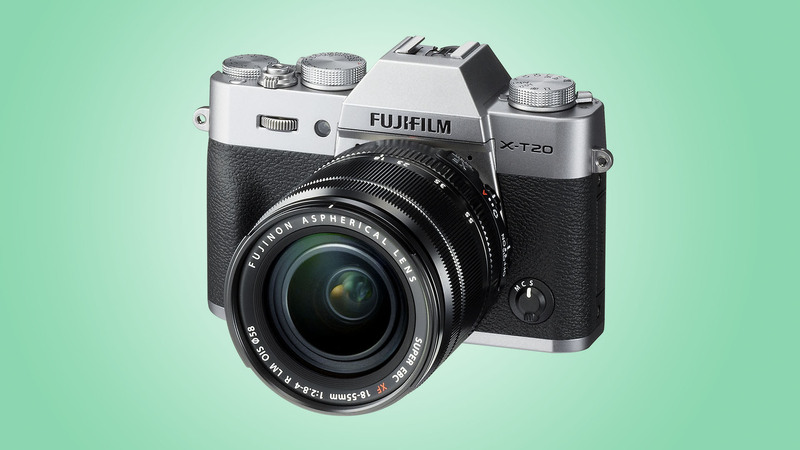 Fujifilm&apos;s high-end mirrorless camera is a great all-rounder. 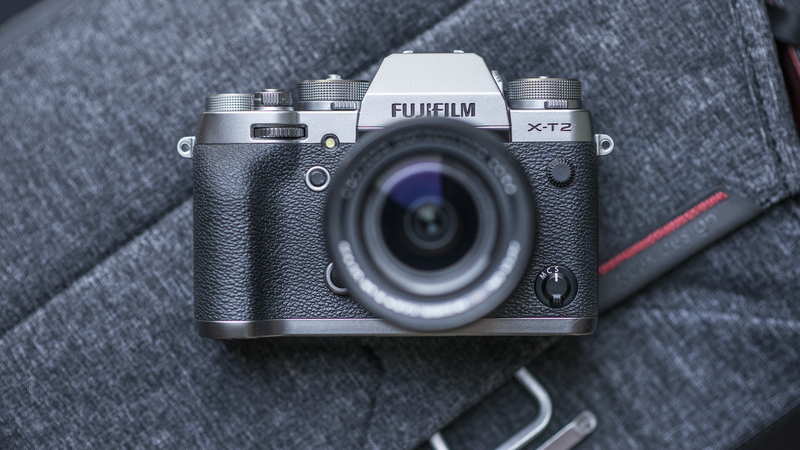 The AF system is much improved over older models, while the 8 frames per second burst shooting, a clever double-hinged rear display and bright EVF is complemented by Fuji&apos;s excellent 24.3MP X Trans III CMOS sensor and plenty of body mounted controls. All this is wrapped-up in a tactile body. Moving up to a full-frame camera brings an increase in quality and a jump in price, so make sure it&apos;s worth it. Most &apos;amateur&apos; DSLRs and mirrorless cameras use APS-C size sensors. These are many times larger than the sensors in the average compact camera and deliver the kind of quality needed by professional photographers – or very nearly. Although many professionals are perfectly happy with the quality they get from an APS-C format camera, it&apos;s more likely they&apos;ll go for a &apos;full-frame&apos; camera (the frame is the same size as old 35mm film). These have sensors twice as large again as APS-C and deliver a further improvement in image quality. The differences are not always obvious, but at this level any improvement is useful. 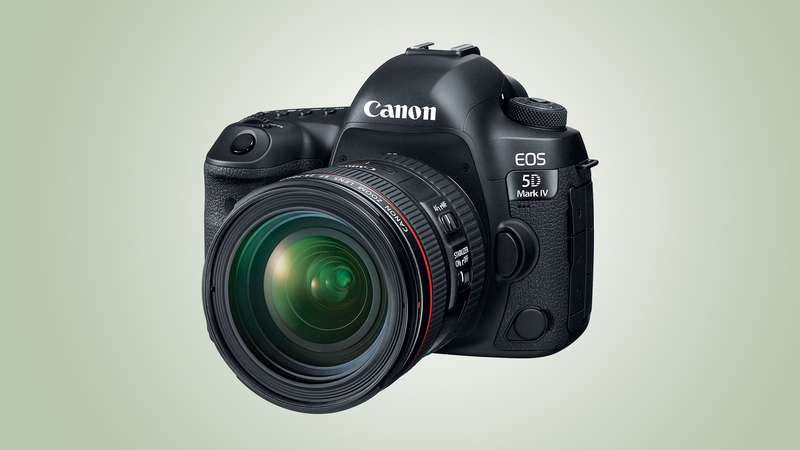 You&apos;ll also need a full-frame camera if you want the very highest resolutions currently available – the latest holder of this record is the 50-megapixel Canon EOS 5DS. Most full-frame cameras are DSLRs. Canon and Nikon make full-frame DSLRs aimed at serious professional users and cheaper full-frame models for advanced amateurs – so the full-frame format is not exclusively for pros. 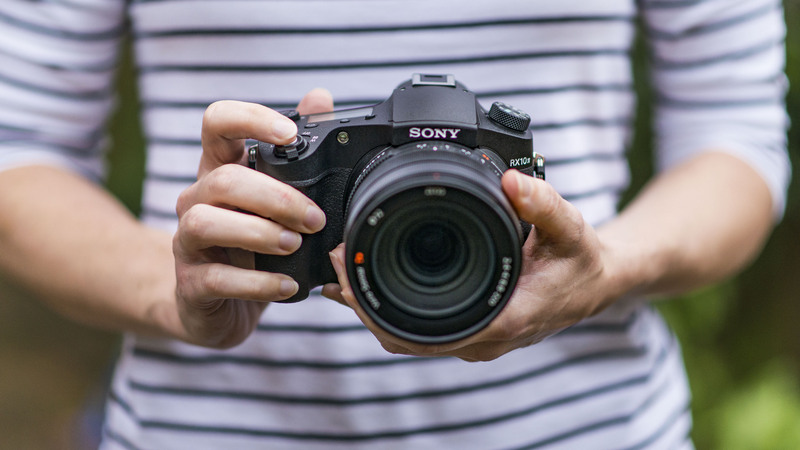 Sony is following a different path with its full-frame A7-series mirrorless cameras, like the excellent Alpha A7R III and Alpha A7 III. These look like regular DSLRs but they&apos;re more compact and have electronic rather than optical viewfinders. The mirrorless design and full-time live view makes them perfect for shooting video, too, and this is growing in importance as more and more pros find themselves asked to shoot video as well as stills. 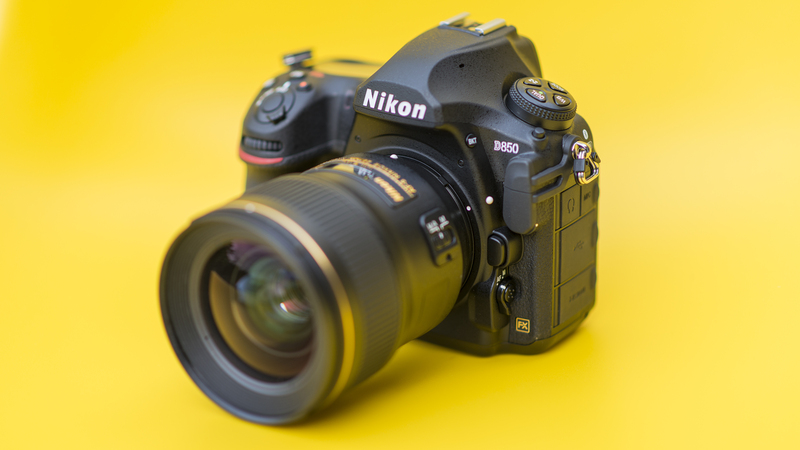 It may be expensive, but if you&apos;re looking for the best camera money can buy right now, then Nikon&apos;s fabulous D850 DSLR pretty much ticks every box. Packing in a brilliant 45.4MP full-frame sensor, image quality is stunning. But that&apos;s just half the story. Thanks to a sophisticated 153-point AF system and 9fps burst shooting speed, the D850 is just a home shooting action and wildlife as it is landscapes and portraits. The Nikon D850 is perhaps the most well-rounded camera we&apos;ve ever tested. Video-enabled DSLRs have replaced pro camcorders for many videographers, but it’s mirrorless cameras which are now driving the technology forward. Photography isn’t just about still images any more. Traditionally, video has been seen as a completely separate subject with a different set of skills, but that’s changing – and fast. It’s as easy to shoot a video on your smartphone as it is to take a still, and almost all compact system cameras and DSLRs are capable of professional quality video that makes a dedicated camcorder unnecessary. It all depends on what you want to shoot and what you want to do with it afterwards. If you want to share movies with your friends, a smartphone is ideal and can deliver surprising quality. Phones aren’t built to survive the rough and tumble of extreme sports, of course, but action cams are, and many TV companies use regular GoPro-style cameras to capture footage they could never have recorded with a conventional camera. If you need to shoot commercial-quality video for your own projects or paying clients, both DSLRs and mirrorless cameras can do the job. DSLRs were the first to bring pro-quality movie modes and are still the favorites amongst pros, but mirrorless cameras are catching up and have key advantages; notably full-time live view with fast and smooth autofocus. And it&apos;s mirrorless cameras which are at the forefront of 4K video. Panasonic is pushing the idea of stills-from-movies with the likes of the GH4, and the ability to capture high-quality 8MP stills at 30 frames per second as a by-product of the 4K video capability in its latest mirrorless cameras. If you&apos;re choosing a camera for video, the normal rules about sensor size don&apos;t apply because even 4K video is at a lower resolution that still images. The key for video is processing power and camera design. Right now, DSLRs are a good, conservative choice for movie makers shooting full HD, but mirrorless compact system cameras are the ones pushing back the boundaries of video, including 4K. It’s hard to know where to start with the Lumix GH5S, but perhaps the highlight is the fact that it can shoot at a world-first 4K 60/50p recording in Cinema 4K (4096 x 2160). 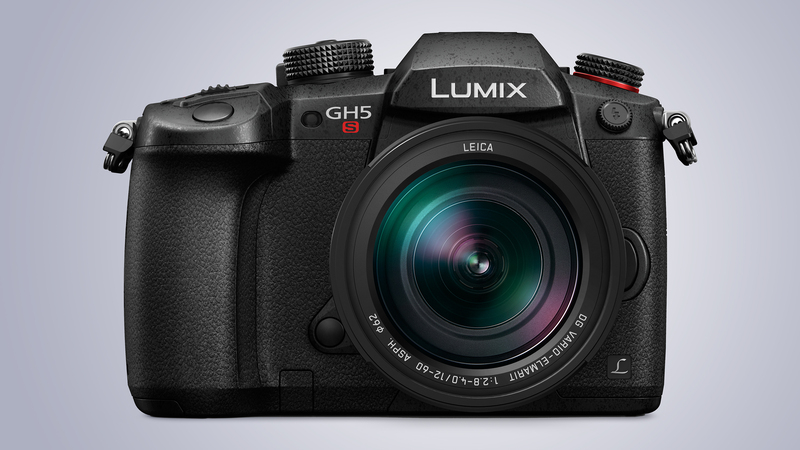 You can record both Full HD and 4K video for as long as you want – there&apos;s no time limit – while the Lumix GH5S complies with 4K HDR video with Hybrid Log Gamma (HLG) mode in Photo Style. The GH5S also records 4:2:2 10-bit 400Mbps All-Intra in 4K (at 30p/25p/24p) and Cinema 4K (24p), and 200Mbps All-Intra in Full HD. 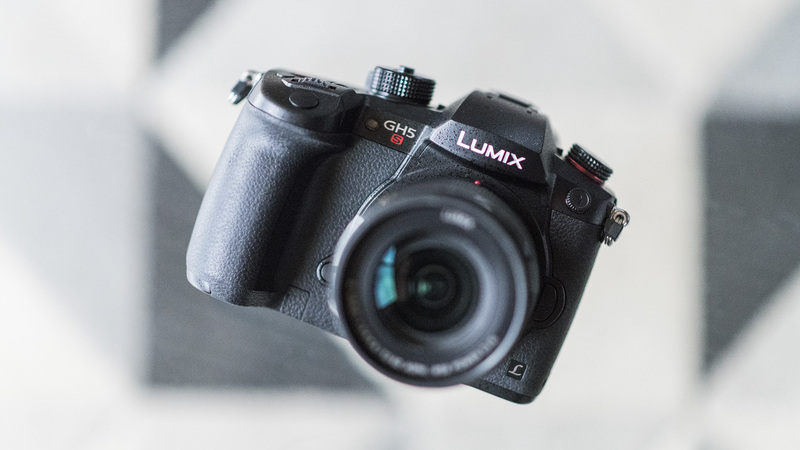 The Panasonic Lumix GH5S is certainly not for everyone, but if you want to shoot professional-quality footage without remortgaging your house to buy a professional video camera you won&apos;t find a better video-focused camera out there.